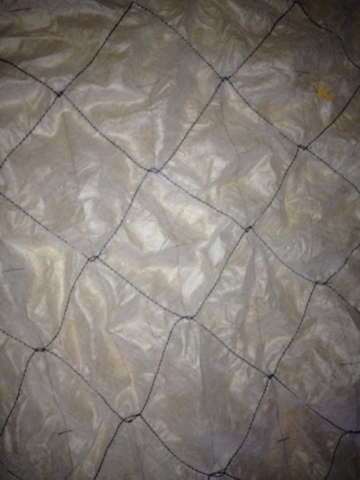 There'll be lots of threads to bury... and I am yet to quilt feathers in the partial squares around the edges. I have also (finally) picked up again on my Free Challenge Piece for the AQC - pictures are due by 1 March, so I better get to hurry up! I am not entirely sure how much I am allowed to share about it, I have shown you the background here and the chainlink fence here. I have experimented with painting silk chiffon yesterday to layer on top of the green part of the background to give an impression of a flower meadow. As I have powered through my paid work without any break today, I might get into this again before dinner. I have also organised my backing and batting, as well as my template for the sign which will have particular significance in the finished piece - if I ever get it finished!!! It's quite different to what i would make without the self-inflicted threat incentive of entering the competition! 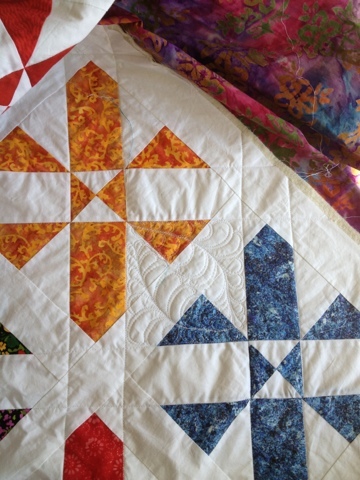 My two Tokyo Subway Quilts blocks are still sitting there set out awaiting piecing. What have you been up to? 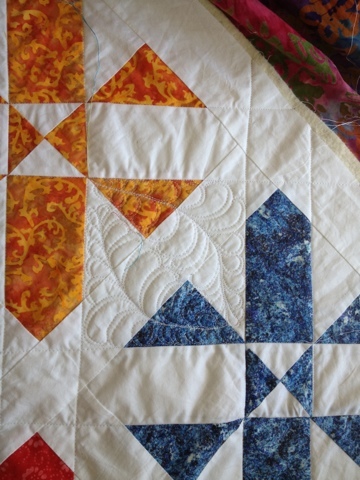 Linking up to FMQ project UFO Sunday. Today I finished the SiD of the still nameless D4P and quickly tried out some feathers - what do you think? 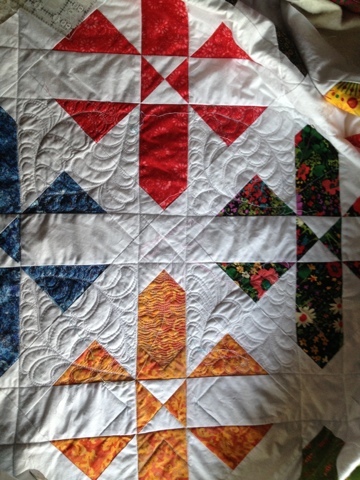 Can you see the white stars in the sashing, I will repeat these in the centre of the blocks (where you can see the hourglass). 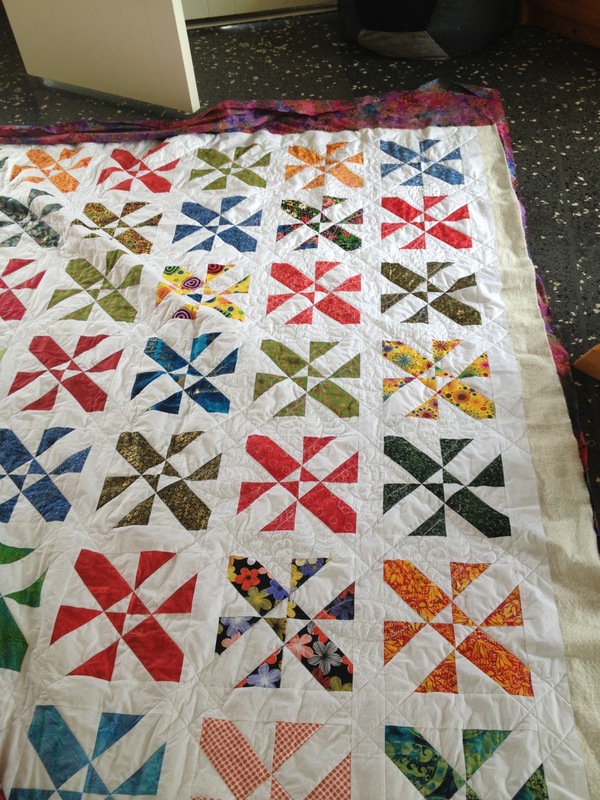 The white sashing in between the stars will get some dense quilting, too, maybe some wavy lines. So glad to be fmqing again!!! 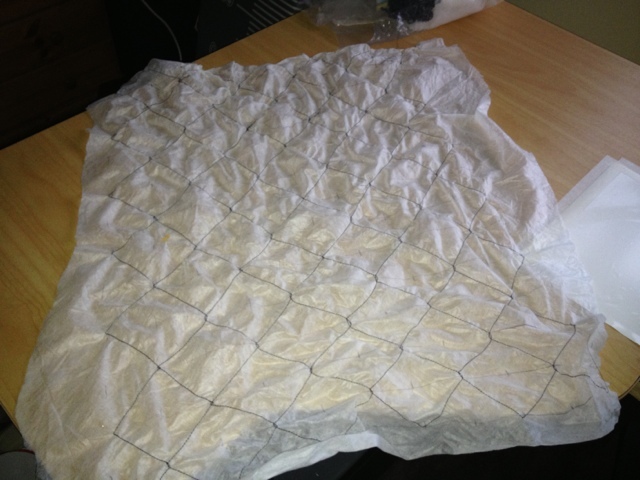 Work has taken up a lot of my focus, but I managed to get a little sewing done. 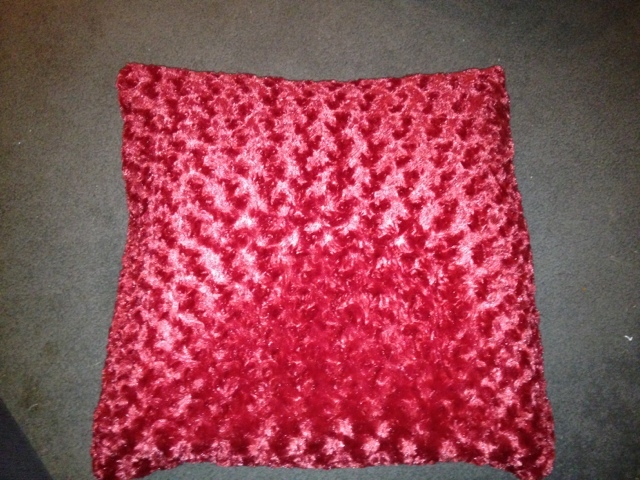 I finally made a fluffy cushion cover from the fluffy blanket DH bought - picture below. 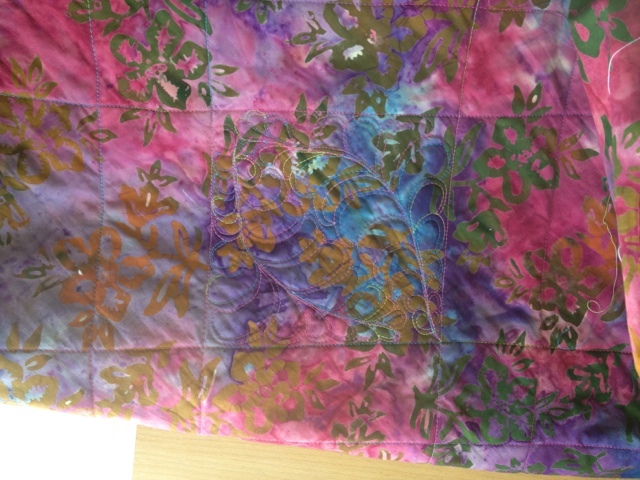 If I want to submit 'Free' for the AQS, I better get cracking, so I stitched the wire fence onto washaway fusible and below you can see how it turned out. 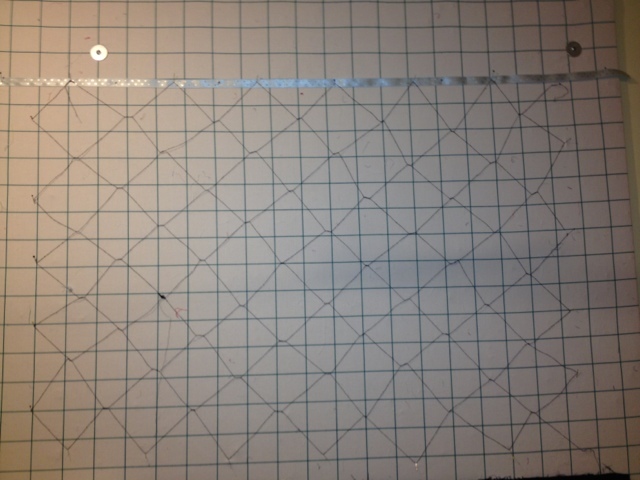 I have also laid out my next two Subway Map blocks ready to piece - maybe on Wednesday = Waitangi Day? I am spending 2 days in The Big Smoke = Auckland - I absolutely despise the traffic, but I am envious to the access to services, shops, schools, people you have down here. This evening I managed to have a brief catch up with the lovely Chris from Diet Coke Rocks and her family, and I even got a cuddle with her second newest grandson, 7 week old Dante - so cute! Chris took some pics, so I'll have to borrow one when she posts them. 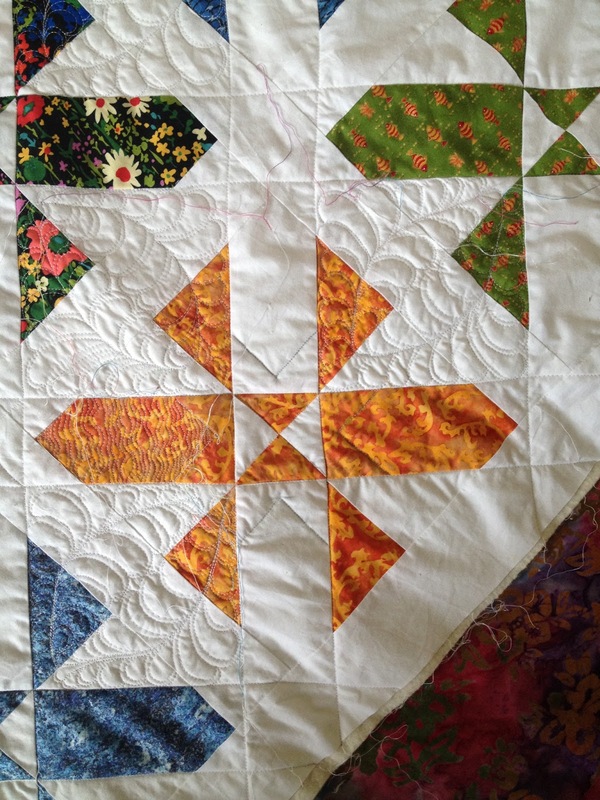 In between work schedule and traffic this was way too short a visit, but if I get down here more often, I might be able to have the odd catchup with more of the lovely Auckland Quilters / Bloggers - Rona, I hope your term has started well, I hope we can organise sth. towards the end of February?